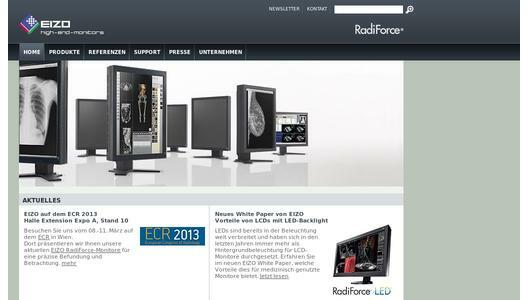 EIZO will release the RadiForce RX440 monitor in Germany in mid-March. With four megapixels and a 30-inch wide-screen format, the monitor displays precision in both colour and monochrome. Different imaging techniques can be displayed simultaneously, with a first-class image quality so good that medical diagnoses can be made. 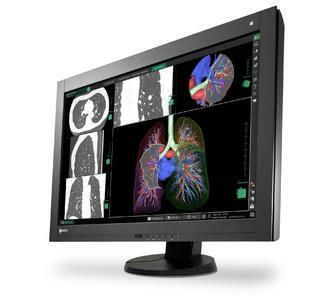 EIZO relies on LED technology to ensure consistent image quality. The size of the display surface and degree of resolution makes this monitor the perfect alternative to a 2-megapixel dual-screen solution, without the annoying split screen. The RX440 provides a comfortable overview of all images and allows users to organise images on the screen as they see fit. Large images can be displayed on the entire screen. At the click of a button, users can access the DICOM tonal value function to get a perfect greyscale reproduction. This can be checked and calibrated automatically using an integrated sensor and external measurement devices. The RX440 automatically stabilizes the desired level of brightness, making it possible to distinguish between subtle differences in grey or colour tones. In this way, it provides reliability for medical diagnosis. DVI-D and a DisplayPort input allow for signals with 2560 x 1600 pixels. 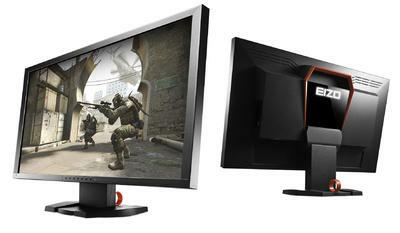 The RX440 can also process two 2-megapixel signals from two graphics boards, as if to display two different monitors. The different images are displayed next to each other. The RX440 has a presence sensor to increase the life cycle of the monitor. It switches the display on or off automatically, depending on whether the user is in front of the screen, and detects the user's return even before the keyboard or mouse are touched. The RX440 is always ready for operation and minimises monitor usage time and electrical usage when it is not in operation.